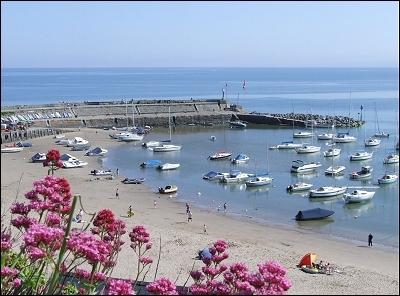 Walker's Rest caravan near langrannog - sleeps 2. "Walkers Rest" is retro static caravan 2 minutes from the Ceredigion coastal path and 1 mile from the beach in Llangrannog. It offers accommodation for 2 people. There is 1 double bedroom, a fully equipped kitchen, bathroom with shower, washbasin and toilet. It is situated on a smallholding with horses outside your window. We have chickens dogs and cats. You are however welcome to bring along your well behaved dog. "Walkers Rest". 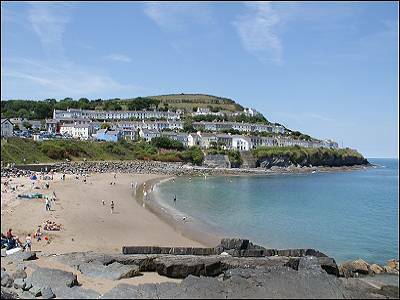 is a tastefully appointed static caravan 2 minutes from the Ceredigion coastal path, 1 mile from the beach in Llangrannog. Ideally suited for 2 people. It has one double bedroom, a fully equipped kitchen with small ceramic hob, microwave, grill oven, under-counter fridge, and the usual small appliances. There is a bathroom with shower, wash basin and chemical toilet (regularly cleaned out). Walker's Rest is situated on a smallholding with horses in the field above the caravan. The owners have chickens dogs and cats. You are however welcome to bring along your well behaved dog. Walkers Rest is a unique holiday let. It is a static caravan tastefully restored to provide accommodation for those who want peace and quiet, set in a idyllic spot on the Ceredigion coastal path. The situation is rural amidst animals within an equestrian smallholding, within full view of local wildlife. Red kites soaring overhead, badgers foxes. We have horses, dogs cats and chickens. 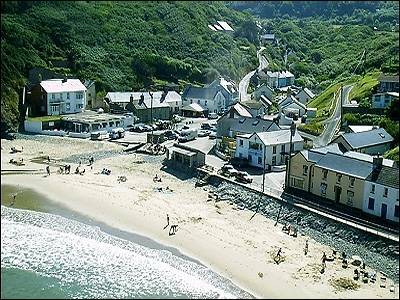 The lovely village of Llangrannog is 5 minutes drive or a 20 minute walk. Please come rest, relax and enjoy all we have to offer in this amazing place. Short breaks are available throughout the year with a 3 night minimum, £65 per night high season (weeks priced at £395), £60 per night mid season (weeks priced at £350) and £55 per night low season (weeks priced at £325). On date of arrival check in time is 2.00 pm. Time of checking out 10.00 am. Short breaks available, 3 night min.